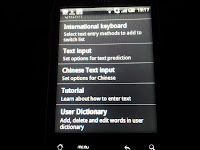 start with you will need to enter the "Settings" screen on the phone and then scroll down to "Language and Keyboard". 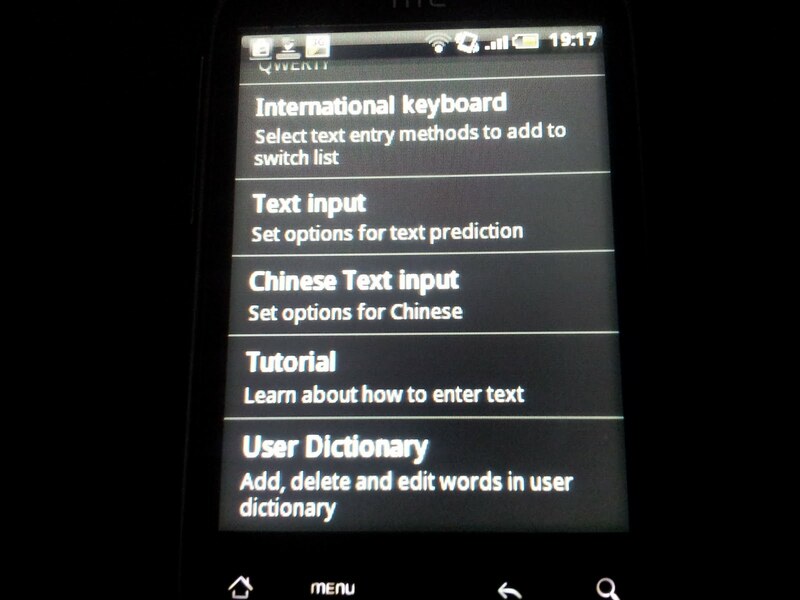 Inside the "Language and Keyboard" menu is 2 options "Select Language" and "Touch input". If you select "Touch input" you'll be given a menu like the one in the photograph to the left.